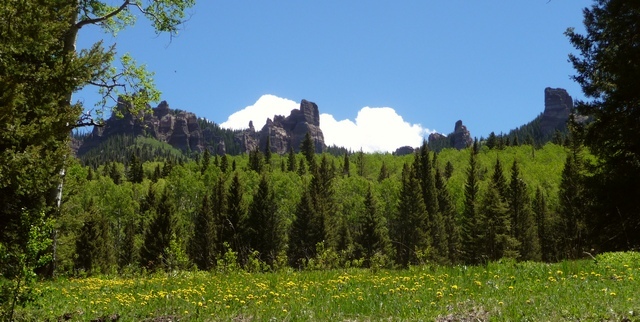 June 19th, 2010, found me traveling up over Owl Creek Pass and through the Silverjack Reservoir area. The GPS track is here. 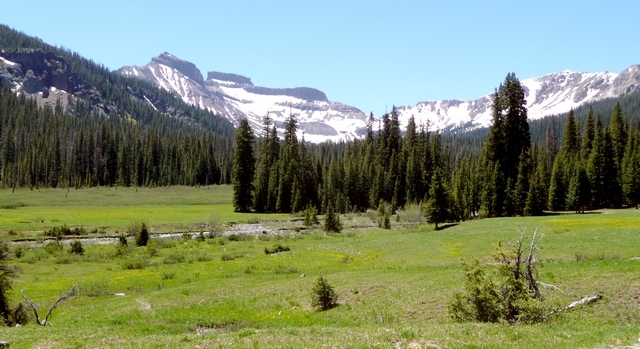 This post has a some nice photos of the West Fork area. Here's a view taken right from the West Fork road heading south, looking southeast. Can't ask for better! On the road from West Fork down to Middle Fork Cimarron River. It's hard to make progress when there are so many beautiful photographs to take! 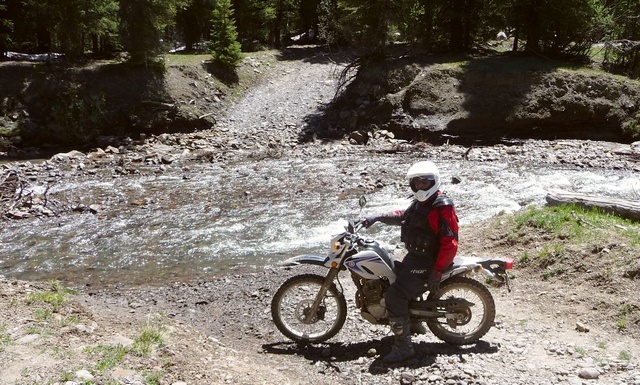 This entry was posted in Gunnison County, Motorcycling and tagged Colorado, dirt bikes, silverjack area, west fork cimarron river. Bookmark the permalink.